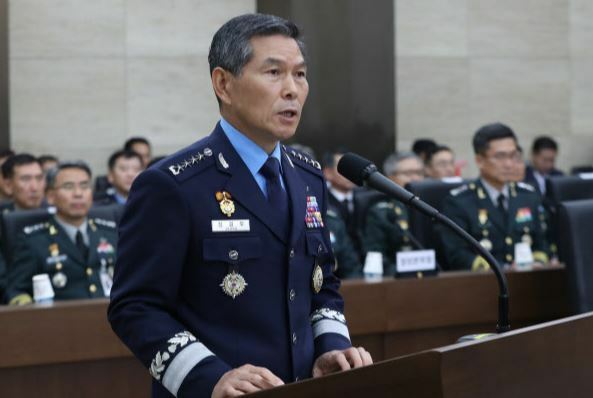 The military chiefs of South Korea and the United States will hold talks in Washington this week, defense officials said Wednesday, after the allies paused some exercises to encourage North Korea to give up its nuclear weapons program. South Korea's Joint Chiefs of Staff Chairman Gen. Park Han-ki and his US counterpart, Gen. Joe Dunford, will meet for the annual Military Committee Meeting at the Pentagon on Thursday, according to the Pentagon and South Korean defense officials. The allies have suspended several combined military exercises since US President Donald Trump held a historic summit with North Korean leader Kim Jong-un in Singapore in June. Trump announced after the summit that he would pause the "provocative" and expensive drills while denuclearization negotiations with North Korea were under way. Pyongyang has long condemned the exercises as a dress rehearsal for invasion of the country despite reassurances from Seoul and Washington that they are defensive in nature. The latest suspension was announced last Friday after the South Korean and US defense ministers met in Singapore. The Pentagon said the decision to halt December's annual air exercise, Vigilant Ace, was taken "to give the diplomatic process every opportunity to continue." The MCM is held prior to the annual Security Consultative Meeting between the ministers.